When Silas Gisiora Nyanchwani posted a few minutes ago that Raila is worse than Ruto, I rubbed my eyes in disbelief. But at least guys are slowing and surely beginning to see what I've been saying for years. Raila, just like Mandela are tools of the oppressors. They were transformed during their time in Prison to become State Agents. Mandela was used to make it look like power changed hands in South Africa. However, nothing serious happened. Everything, remained in the hands of the White Oppressors, with a few Blacks being incorporated to make it look like change has happened.... And Black South Africans are far worse off right now than they were during Apartheid. Black Economic Apartheid is worse than the White Rule. Same case in Raila. After his time in Prison, he was transformed into an Agent of the Deep State. The People behind Power use him to create impression of being an opposition leader. In 1997, Moi being wary of a Luo Kikuyu Unity, sponsored Raila to run ( even though his chances of winning were 0) Moi effectively used his Puppet Raila to delay early exit from power. Had Kibaki and Raila united, Moi would have been kicked out. True to form, Raila was rewarded heavily by Moi from 1998 to 2002. That is when he joined the Billionaire club. I still insist that the Deep State used Raila in 2013 and 2017 to create impression of an opposition leader. And the Deep State are now using Raila to finish Ruto....not for the benefit of Wananchi, but for the interest of a few Billionaire Power Brokers. Do you think a normal person can swear himself in, and survive? Did you see the way Miguna's house was demolished? 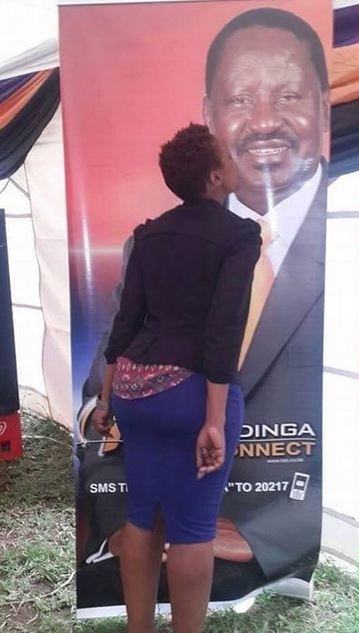 Why was Raila untouched? His zombie followers were tired, and confused.... And if the State wanted to finish him, they would have easily finished him. His stronghold had diminished to pockets in Kisumu, Homa Bay ( where many still live in stone age) and Migori. Raila was damaged goods, but somehow he was resuscitated... Why? To finish Ruto, and deflect Kalenjin anger to Luos. Right now, Kalenjin anger is being directed to the Os, majority of who have no idea of what is happening. Raila doesn't care if the Os die in huge numbers, they are effectively his slaves, to be sacrificed as he wishes. His job right now is to create tension between the Os and Kalenjin.... Things like the Orengo motion are all intended to create tension between the two communities and deflect anger. So, when I see even one former Raila diehard come to realisation of the games being played, I feel happy.